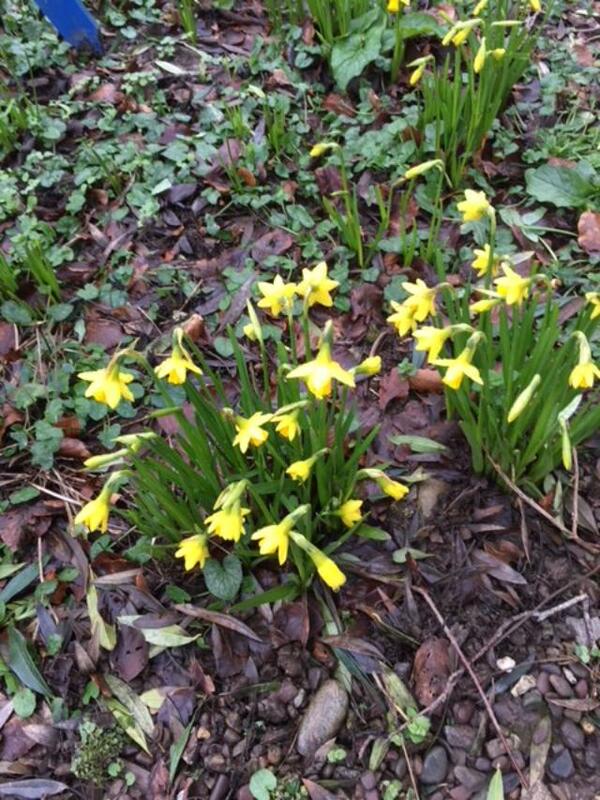 Daffodil blooming Ireland met a white out this year on February 28th. The Beast from the East swooped over the green island plunging the temperatures well below freezing. Gale force winds blew off the sea as snow blanketed cottages, villages and cities in deep, powder. Almost everything stopped for three days. Drifts covered lanes and highways making travel by car not only dangerous but a lawful offense. Pipes froze, power failed, heating went off in thousands of homes. Friends and strangers clustered together while the storm howled. Farm animals huddled in sheds and barns; milking was postponed, no eggs gathered, and farmers trudged out with buckets of water to keep the livestock alive. For the first time in almost 70 years, Ireland was paralyzed. With no plows to clear roads and no snow shovels to clear paths, we bundled up in woolie layers, slipped on knee high Wellies and trudged across the yard from the house to the Cookery School. Swinging the door in, we found unheated kitchens colder than the walk-in fridge. We hauled cartons of soup from the freezer, cranked up the ovens to bake bread and roast a ham. Carrots, potatoes and onions lifted from bins became glistening trays of glazed vegetables. Tender salad leaves, rescued from the heavy snow ravaged green house filled a giant bowl at the end of the buffet. Hot plates, warm hearts, school lunch was served. These are times when simple food is the best. Inviting, nourishing and traditional, a steaming bowl of hot mashed potatoes is always welcome. 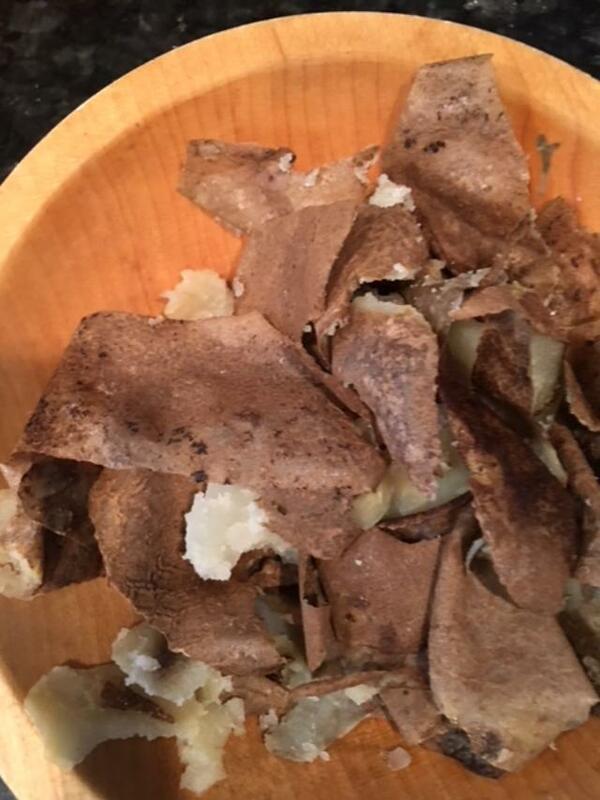 Whenever I pull the soil dusted potatoes from their paper bags in East Cork, I know I’m in for flavor unmatched by American supermarket spuds. We rub off the dirt under a cold tap, boil them in salted water, steam the tender tubers dry and then using a tea towel and a paring knife pull off the skins. Mashed with hot milk and melted butter, the nourishing potato becomes fit for a king. 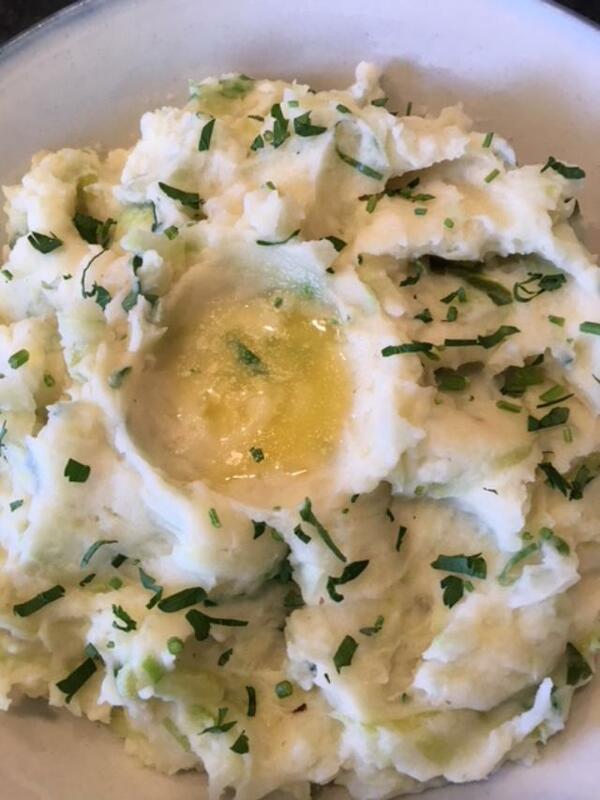 With the addition of tender steamed green cabbage mashed potatoes transform into the national dish-Colcannan. Recent nutritional fads have unfairly attacked the potato as empty calorie white food. This is far from the truth especially when you seek out organic potatoes and better yet freshly dug potatoes from a farmers market. The potato has good fiber, lots of potassium and significant amounts of Vitamins C and B. Most of all potatoes are satisfying ‘real’ food. With Paddy’s Day on the horizon, spin out a Colcannon for the luck of the Irish. *A note on potatoes and cooking potatoes. For fluffy mashed potatoes, choose a floury type potato—our common variety is the Russet or Idaho. Yukon Golds for all their popularity are waxy and do not mash as well. Most red potatoes are too moist inside for a good mash. A high percentage of the potato’s nutritional value lies close to the skin,so if at all possible, cook potatoes with the skins on and then peel. 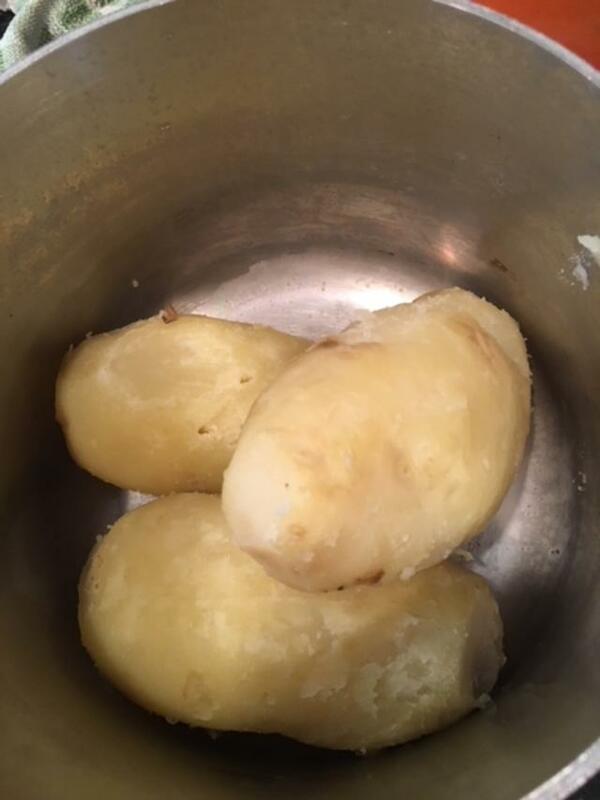 If your potatoes are too large, peel, chunk and boil. off all the water, return covered saucepan to low heat and steam dry for five minutes. 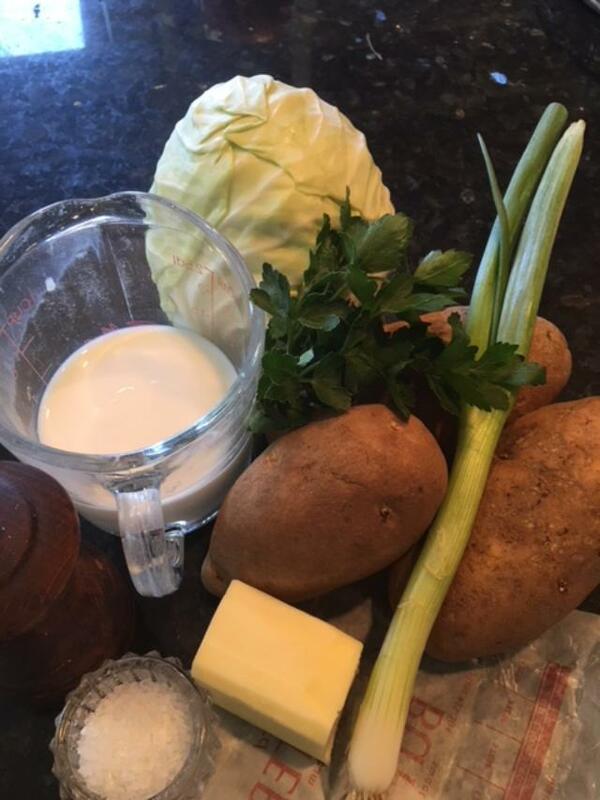 While potatoes are cooking, slice the cabbage and place in a small saucepan. Add a pinch of salt and a quarter cup of water. 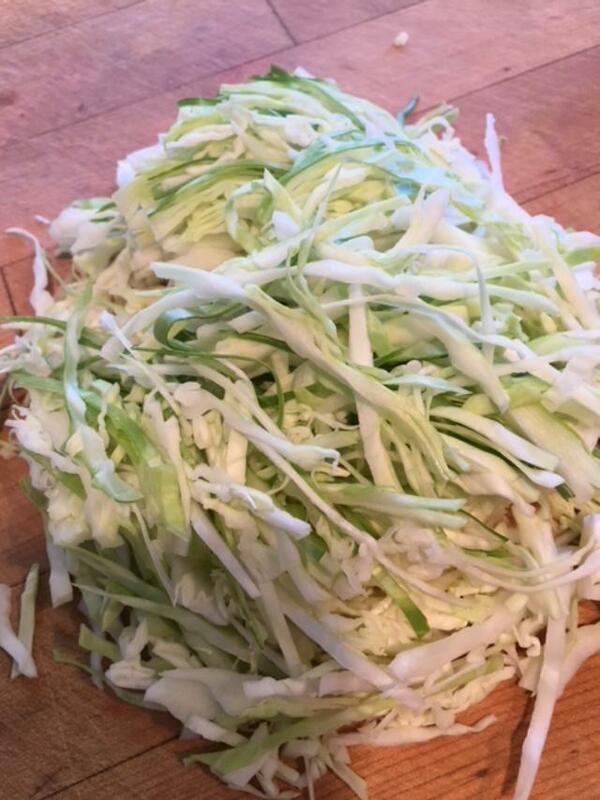 Cover and cook briskly for five minutes or until cabbage is tender. Pour off excess water, return cover and keep warm until potatoes are ready. 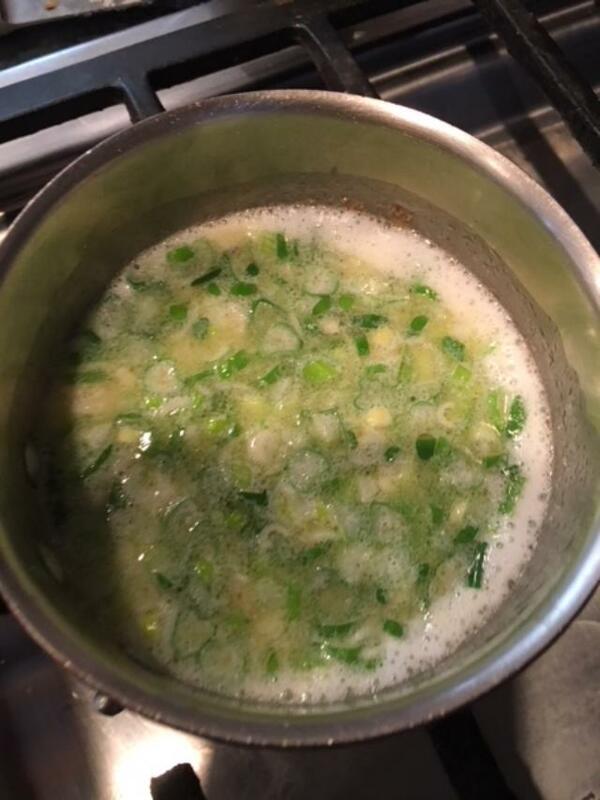 In a smaller saucepan heat the milk, butter, chopped green onion plus a little salt and freshly ground pepper. water into the pan to clean and dry. Pick up the hot potatoes one at a time with a tea towel and pull off the skins with a paring knife. Drop the peeled potatoes into the clean, hot saucepan. serving bowl, place a pat of butter in the center to melt, dust with chopped parsley and enjoy an Irish classic. You are currently browsing the Mary Jo's Kitchen blog archives for March, 2018.